I had came across an insect near my backyard in India(Kerala). 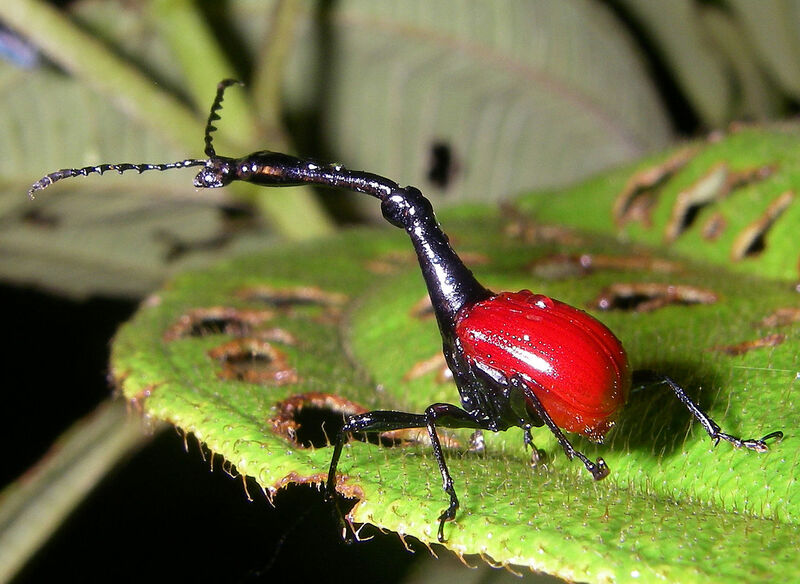 I haven't seen this one before and I searched web to find out what insect is this and found its image which saying its a "Giraffe Weevil" (Trachelophorus giraffa). 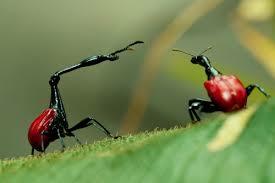 The link below says that this insect is endemic to Madagascar. 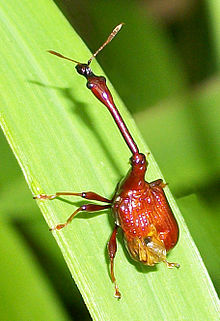 This states that these insects need the "giraffe beetle tree"(Dichaetanthera arborea) which is also native to Madagascar. Even if we should never rule out the possibility of range changes/introductions, this must be based on close examinations of the specimen, and it is even more unlikely in this case since Trachelophorus giraffa seems to be a very specialized species. 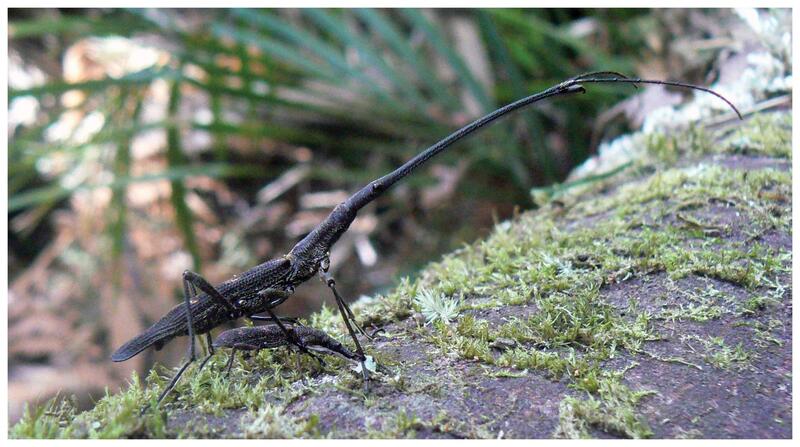 First of all, the beetle you found likely doesn't belong to Trachelophorus giraffa. There are lots of of species in the family Attelabidae, many of them having long necks in males and some were described or are known known from India. I couldn't find any primary source on the nesting behavior of Trachelophorus giraffa, and I suspect that most of the web-pages mentioning the male participation in creating the cradle by rolling leaves stem from this popular book, while in at least another popular book it is explicitly written that females make the cradle. As attested here, "all females of the species Attelabidae make their host-plant leaves into cradles where they oviposit", so I suspect that Trachelophorus giraffa is no exception to this rule. Here is a very detailed description of mating behavior of a species with similarly long neck: males take no part in building the nest and seem to utilize their necks only when competing for female. Is Batesian mimicry more important for females? Can you identify this insect for me?